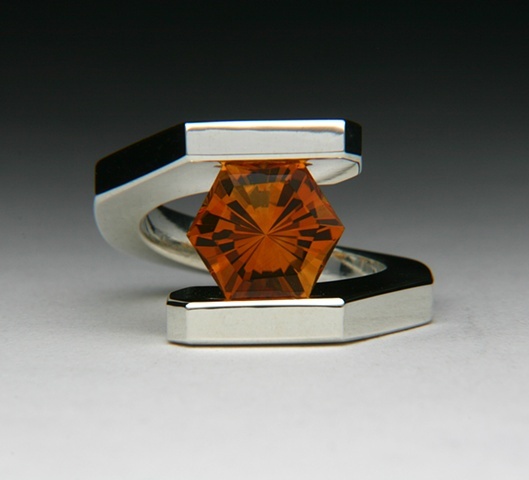 The Margot tension set bi-pass ring is a new contemporary design; tension set with a hexagon shaped 11mm custom cut Madera Citrine. Phil Lagas-Rivera cut this stone; his business name is “Thats Brillant”. The combination of design and the custom cut stone makes it a truly unique and challenging design. This ring can be made with other metals except for De-ox Silver.